Question: If I Win a Trip, Can I Pay to Bring Extra Guests? 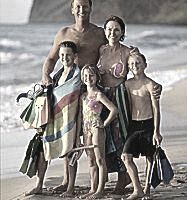 A lot of vacation sweepstakes offer a prize for a family of four, but my husband and I have three children. If we win a trip, can we pay to bring an extra person along with us? Whether or not you can pay to bring an extra person with you on a trip sweepstakes win depends on the sweepstakes' sponsor. Many sponsors will have no problem adding another person to your itinerary if you're willing to pay the price difference. In other cases, there isn't any wiggle room in the number of people who are included in the vacation prize. Most trip sweepstakes have the option of being able to change details like the hotel you'll stay in, so there's no guarantee your extra guest will be nearby. Your guest may not be able to participate in activities that are included in the trip prize. There's no way of knowing before you enter whether you'll be able to add people to the guest list if you win a trip. But if you do win and can't work out the details, you could always decline the prize and let the sponsor draw another winner.